This is a summary for McKenna age 11-12 weeks, or the twelfth week. This week was kind of difficult. Let’s get right to it. McKenna is getting faster and faster at nursing. This is very typical as a baby reaches 3 months old. Both Brayden and Kaitlyn got a lot faster at three months–cutting their previous nursing time in half. My yeast infection came back and came back with a vengeance (my friend who is a lactation consultant says this is typical). There is still no sign of it in McKenna. I called her pediatrician’s office and spoke to the nurse who is always rude on the phone (though she really is nice in person) and she told me the only treat the baby if baby has it. However, everything I have read says you treat both mom and baby if one has it. My lactation consultant friend says the same. AND I remember my pediatrician saying that with Kaitlyn. So McKenna now has Nystatin oral suspension drops and I am on a two week Diflucan (fluconazole) plan. Things are looking better. Waketime length stayed the same–about 50 minutes. However, I still found it elusive this week. I got the first two waketimes down with no problem. By the time her third nap rolls around I am confused and unsure…just as I was last week (I have since figured it out, but that was during week 13, not 12). I continued experimenting. How do I know the waketime is wrong? Well, mostly due to the video monitor. I can watch her and I see that she takes a long time to fall asleep. This is a curse of the video monitor. If I didn’t have it then I would think all was well and she was sleeping. But, it is also a blessing because I can fix things. However, this week she also started crying before the nap. Ugh! What? Crying! We had this down. Things were so peaceful for her entire life (save that witching hour at the end of the day when she cries only if left alone in her crib). I was frustrated. By the time Kaitlyn was this age, she was totally done crying. Why is McKenna starting now? A hard thing is that I really don’t know McKenna’s cries well since I rarely hear her cry. So when she started crying before her afternoon nap, I didn’t know what was wrong. I responded and I interfered, which I think was the right thing to do under the circumstances. She didn’t do it every day, and I meticulously kept logs (of course) and review the meticulous logs from her lifetime to see if I could see the common thread. No luck. I could not see any reason to it. I hypothesized it might be the heat because that is the point in the day it starts to warm up in her room. As the days passed, she started crying before other naps. Finally one day she cried before her first nap. At that point, I realized I had created a bad habit. It was hard for me since she had never cried. I figured something was wrong with her, which I honestly think is a wise assumption. I quickly saw, however, that there wasn’t anything wrong and she was just starting to protest the end of social hour. It was time to CIO. She must have sensed my resolve because she stopped crying that day. This is where my downfall came, I think. McKenna has never liked the swing. We purchased a new swing before she was born and still had the swing Brayden and Kaitlyn had as babies. I decided to pull out that swing. She loved it! During her witching hour, she would sleep in it which is much better than being fussy in the other swing. It is often at the time of day Brayden and Kaitlyn go to bed, so it isn’t really practical for me to just hold her the whole time. When she started having a hard time going to sleep, I would move her to her swing since she liked it. She has always gone down so well and I worried she would get overly tired. Then I started creating a bad habit. The days were warmer for the most part and she started STTN again. One day it was quite cold. That night she woke at 3:30 AM. The other nights she slept through the night. Now, when I say STTN, I mean she is sleeping 7-8 hours. This puts her waking earlier than our ultimate waketime. So it is technically still a night feeding. The first day of this week I decided to try McKenna’s arm out of the swaddle. I did it for her first nap of the day. I debated when to do it. Her first nap is consistently good and I view the first nap of the day to be very important. If you mess up the first nap, you tend to mess up the whole day (especially with the younger babies). However, since her first nap is always good, I decided to go for that one. As soon as I left the room, she was crying. This was before the crying started later in the week. So I immediately went back in and swaddled her arm in and she went to sleep just fine. She isn’t ready yet. We of course still have a lot of disruptions. This is the reason I planned for a baby at the time of year that I did. Then she could be nice and established before the disruptions started, right? Well, she was 🙂 She doesn’t seem to be terribly thrown off by the disruptions. Like I said last week, I work to get her to sleep when she should and I keep feedings on time. I also always have a morning nap and I try to keep the disruptions to the evening as much as possible. I love these newborn summaries! It's good to see that even you can make the mistake of getting into a bad habit 🙂 However, I love how you recognized it and changed too. I always found that the third nap was the hardest to time and that we got a lot of fussiness as a result. Now I can't wait to hear about next week…Oh and you mention two different swings and how she likes one better than the other…what's the difference? We'll be swing shopping soon. We didn't have one with baby #1, but will get one for baby #2. CO mom, we have a space heater too and it does the same thing – only kicks on when it starts to get too cold. I don't think they are that bad as long as they have the tip over feature – where it turns off if it tips over. I know for a fact it helped our son sleep through the night on some of the cold winter nights because the two times we didn't turn it on, he was up in the middle of the night crying because he was cold! I absolutely love reading your weekly summaries! My daughter, Hannah, was born the same week as McKenna and it's nice to hear what other families are doing who are in the same boat as ours. Hannah is our first child, and we have turned to your blog for tips from day one. So I greatly appreciate your willingness to do life publicly. Thanks for helping us make sense of this new territory. 🙂 You're making a difference in the lives of so many families. I love reading the schedules you post… thanks for investing in the lives of many, many babies and their families! I'm wondering if I could have your take on my babies schedule (8 weeks old). Currently I feed every 3 hrs. After his 7:30PM feed I try to get him to sleep until I wake him around 10-11PM for dreamfeed. Yesterday he was on a different schedule so his early evening feed was at 6PM. He refused to go to sleep so he was up until 9PM when I fed him again and he went to sleep until 4:30AM. Typically he wakes up around 2:30AM to eat so I was thrilled! However, I don't know if the way things were (eatting at 6 and 9) is the way we should do things every night. What would you do? I'd like him in bed sooner and wake him later for the dreamfeed but maybe it's good that he gets wore out and then after he eats at 9 he's really ready to sleep. Thanks for your thoughts. First of all…thanks for all these posts. I wish I would have had this for my first born, who is a B/W baby by the way. However, he was much easier than my second son who is only 10 weeks old. I need advice on the night-time feeding. My first born dropped the feeding on his own at 9 weeks. It doesn't look like my second is going to do that. His schedule is 5 oz formula every 3 hours during day until 7:00 pm, bed at 8; dreamfeed at 10:30 and he's waking at 3:30 am for another feeding. I've been feeding him less at that feeding hoping that he would automatically drop it on his own, but he hasn't. I'm thinking of starting CIO next week. B/W says that it will take about 3 days and each night about 5-45 minutes. Should I intervene while doing the CIO (i.e. should I go in every 5 or 10 minutes to pat him until he falls back to sleep) or should I just let him cry for 45 minutes straight? I'm not sure what to do at this point. I'm also afraid that his sleep position is a factor in his waking. I was forced to place him on his stomach in the earlier months during naps and I put him on his back after he's already asleep for the 10:30 and middle of night feeding. I wonder if that change in position will hinder my efforts. Any ideas? Thank you so much for writing all of this. Everything is so helpful. 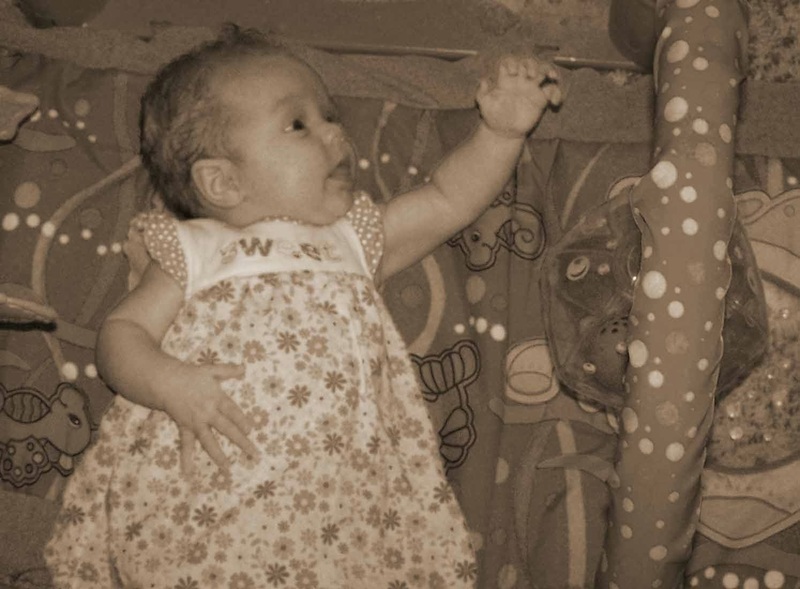 I have a question… my little girl is 15 weeks old and up until about 1 week ago was napping beautifully. Well, that all has changed. Her first nap is excellent, but then she doesn't nap so great the rest of the day. She is able to stay up for about an hour and a half. My question, how long should her naps be at this point?? I always have to wake her up from her first nap (I let her sleep for 2 hours), but recently her other naps only last about an hour or even 30 minutes. I'm just bewildered… I've done CIO, but nothing is working. Any advice? Tips? Reasons?? Thank you! Valerie- thank you so much for these Newborn Summaries! My son was born the same week as McKenna so I love to see where you guys are with everything. Quick question about McKenna STTN- are you counting the hours from 8:30pm until when she eats in the middle of the night or are you counting the 7-8 hours from the 10:00pm DF? My little guy is going to bed b/w 7:00-7:30pm, DF at 10:00pm and then not eating again until anywhere b/w 4:00-7:00am (7:00am is wake time). Is he STTN? Sometimes he wakes up around 2/3/4 am and I put his pacifier in and he will go back to sleep w/o eating. I guess until he stops doing that, he is not STTN? oh no, now I can't wait for week 13! I think I might have begun abusing the swing. How often is too often? My 17 week old son hadn't been waking an hour into almost every nap except the morning one. So today I decided not to use the swing at all & his 2nd nap (he's on right now) is going well. Only 8 mins til his regular waketime & he's still in his crib, wahoo! Jennifer, The swing she likes is the Fisher Price Ocean Wonders Aquarium Swing. The one she doesn't like is the Fisher Price Rainforest Swing. When I was preggo with her, we bought the rainforest one because it plugs in. We went through a lot of batteries with Kaitlyn, who often slept in the swing because of her reflux. The difference is that the ocean wonders swing is more snug. It hugs the baby on the sides more. The rainforest one is a bit more flat and doesn't offer much support to the baby on the sides. See, this is tricky. It is hard to know what your LO will like. I remember back when we bought the Ocean Wonders swing (when Brayden was born), it was very popular and raved about. All three of my kids liked it, so I think it was just a good swing. Perhaps you can go to Amazon or something and read reviews to see what is good that is available now? I don't know if Ocean Wonders is still sold. CO Mom, I am basically in the same climate as you 🙂 All three of our kids have space heaters–from Walmart (or smiths marketplace, but same brand). That helps McKenna, but it doesn't totally warm the room. Her room is kind of big. I am hoping by the time winter comes around, she will have more fat on her body and she will be better at regulating body temperature by then also. Lana, first, that is the age McKenna started getting fussy in the evening also. Was he born early? Most babies are done being fussy by that age :)It might have been a fluke. If you like feeding at 9, then you can try it and see if the trend continues. If you don't, then I would try to go back to the original schedule if he will.When McKenna was that age and fussy, I did a similar thing. We cluster fed. We fed at 6-8-and 10. We had previously been feeding every three hours. Well, she slept longer at night. We did that up until a few nights ago. You are supposed to stop cluster feeding at 8 weeks, but it helped. It was starting to interfere at this age, though. csammonds, First, I usually like to wait until 12 weeks old before considering CIO at night. BW says some babies just take until then. So that way you can avoid CIO if possible. If you want to go ahead with CIO, the method of not going in is supposed to be the most effective and get results the fastest. I kind of think if you go in initially and tell them to go to sleep, you might get results faster. Then they know you have heard them. That is my theory with no hard evidence to back it up :)Has he ever done CIO on his back? If not, that might be of concern. He doesn't know how to sooth while on his back. Also, BW says it can take as few as a few days and as long as several weeks, so prepare yourself for that possibility.For me, I avoid CIO at night with older children. The reason is just that I don't sleep while baby is CIO, then you don't really have a chance to nap the next day when you have other children to take care of. Then you just get cranky 🙂 But if you can do it, go for it! Shealy, I would wonder about a growth spurt. I always like to treat these things as a feeding problem first to see if that fixes it.If not that, then it would be a transition issue. Has her waketime length recently gotten longer? If so, bring it back. Check out the naps troubleshooting posts for many ideas as to reasons for waking early. thank you so much! i actually looked at that post last night and tried a few things today (shortening her waketime) and she is almost back to her old self with napping. i still had to wake her up from her 1st nap, but the other ones are getting back to normal. thanks for your advice!!! hello,my daughter is about 11 weeks old and she is not STTN. her bedtime is 7pm and her dreamfeed is between1030pm and 11pm. her morning wake time is between 7am and 730am, depending on what time she wakes up for her middle of the night feed.she will wake up for her middle of the night feed anytime between 3am to 6am, and i follow the suggestions posted in the 'early morning feeding before waketime' (i feed her and put her back down right away). she has been doing this for about 3 weeks. there was a stretch of a few days where she woke up consistently between 5am and 6am, but that stopped for some reason. regardless of when her middle of the night feed is, she is always sleepy for her breakfast and sometimes will have a full meal, sometimes not.should i wait until she drops the middle of the night feed on her own? or should i be proactive and wean her off/cio? when do most babies stop the middle of the night feeding? thanks! Hi, Val!! I'm avidly reading your newborn posts in anticipation of this new LO. Your waketime posts are always interesting to me. You've always been so good at evaluating and adjusting waketimes to be optimum. What are you using to make your decision? Sleep cues, crying, or video monitor? Thanks for your advice, but I have good news! My little one slept through the night on his own. I didn't have to CIO. The day after I posted my comment, he slept through and the next night as well. But of course, this creates another problem, he's waking at 5:30 am; he usually wakes at 6:30-7:00 which is a perfect time for me to start the day. Do you think it's ok to hold him off with a pacifier? I definately don't want to start my day at 5:30 in the morning and I don't really want to make his bedtime later, which is currently 8:00 pm with his last feeding at 7:00 and then the dreamfeed at 10:30. I am so glad I found you! I have a 12 week old as of Tuesday and I can't wait to read your past posts. My first born was sleeping through the night using the babywise method at 8 wks. My new daughter on the otherhand has not gotten there yet. She has a body clock set at 4am. . .what should I do? We tried to let her cio a couple of nights ago to no avail we gave in after 10 min. My DH went in to change her diaper and re-swaddle her. He held her for half an hour and the crying never even simmered down. I went in to feed her. The crying was breaking my heart. Any advice? Rachel, I count sleeping straight hours as sleeping without waking and needing me at all. So her STTN is from DF until 7-8 hours from that point, even though she has been asleep since 7 PM. She is sleeping from 7-7 or 8 AM, but has a DF and if she sleeps until 8, she had a small feeding in the 5 AM hour. Doniell, I think it is possible that this was a growth spurt. It was an age for it. Is she still waking early? The Shipe's,"too often" will vary from child to child. You just have to observe and be mindful of the long-term effects of using it. hopeful,BW says some babies take until 12 weeks to STTN (meaning sleep 7-8 hours straight without disruption). I find that there are many who take longer. It sounds like your LO could be a gradual baby. That is how McKenna is. She starts sleeping longer, then goes back, then longer, then back…it keeps going that way.Don't do CIO unless/until she is waking at basically the exact same time every night for at least 5 days in a row. Then you know it is habit. Things should work themselves out over time. Hopefully you have seen improvement by now. Clarification on your answer regarding our 8 month old with nap/sleep issues…Just to clarify… If I tried moving to a 3-3.5 hour cycle that would mean going back to 3 naps a day right? And I would nurse 5 times during the day? I am in favor of dropping the dreamfeed, but I do not think my milk supply could survive on less than 5 nursings a day.Just over the last week I've been cutting her awake time back (never more than 2 hours and often closer to 1.5). It seems to have made a difference in her nap lengths (thankfully!). If I did try to nurse her 5 times a day, I'm guessing at least one would have to be right before a nap. Our solids schedule is currently breakfast 8:30a, lunch 12:30p, dinner 4:30/5:00p. So would I keep the solids meals the same and just add an extra nursing?Thanks so much – you were right on with your advice. I would love any wisdom on how to tweak the current schedule to drop the dreamfeed and incorporate an extra nursing during the day. csammonds, you can definitely try holding off with the pacifier. This is a method suggested by the baby whisperer. You could also feed a little bit (from one side or few ounces) then put back to bed and start around 7:30 until he can last longer through the night. Holly,It sounds like she was really hungry since she couldn't be soothed. In that case, it is appropriate to feed her. You can try to get more feedings or amount per feeding in through the day. See also the blog label "STTN" for ideas. mamunaco,You can work 5 feedings into your day for sure. If baby doesn't need 5 feedings, you can always pump for a 5th and that is fine.What is your nursing schedule right now? Our schedule is as follows:7:30a Nurse8:15a Solids9:00a-9:15a Nap11:15-11:30a Nurse12:00 Solids1:00p Nap3:30p Nurse4:30-5:00p Solids7:15p Nurse7:30p Bed10:00p DreamfeedIt's not often that a day goes exactly like that though with these crazy naps. I was recently talking to a BW friend and she suggested that perhaps Maddy is waking up early from naps because she is hungry. She suggested nursing her each time. I've been offering her nursings much more often the last two days and she has been taking them. Mostly full feedings. So I'm guessing that she needs more food than what she's been getting. Also, I'm trying to re-evaluate her solids and she if she needs an increase there as well. The trouble is, she never seems overly hungry at any one time. Maybe her stomach is just tiny?It's so hard because I obviously want to feed her all of the food that she needs and I think I've been focusing too much on the 'sleep' portion of the BW routine. Should I be concerned about snacking with her adding these extra feedings?Any advice about schedule, food, etc. is so appreciated! Thanks! Thanks for the info. I've got the sleeping through the night thing down pat, he's now sleeping later than he was when I was giving him a middle of the night bottle. I have a new problem though. He's not napping well, especially in the afternoons. He doesn't appear tired for the last nap but I put him down at normal time and he does fall asleep but wakes early. I try to get him back to sleep with a pacifier or CIO (he doesn't sleep in the swing) but sometimes I just have to pick him up because he will not go back to sleep (usually about 1/2 hour before feeding.) Do you think that going to a 4-hour routine will help because I'll be eliminating the 4th nap this way? Maybe I can try feeding him more (6oz) every four hours? My concern is that if I move him to a 4 hour routine, does that mean he'll be napping longer? His waketime is only about 1 hour to 1 hour 15 minutes. I'm not sure I can keep him up longer and if I don't, that means that he'll have to nap for 3 hours to make it to his next feeding. When I move to the 4 hour routine, is he still supposed to nap through to the next feeding or do his naptimes remain the same. I'm confused by this and absolutely cannot remember what I did with my older son; he was a sleepyhead though so I'm sure it didn't take much thought. Please help! Thanks! mamunaco, Is there a reason you are doing solids so long after nursing? Does she take that long to nurse? I would do solids immediately after nursing. So, since the last post I have made some major changes that I should probably tell you about if you are going to give me advice. 🙂 A week and a half ago I decided to switch to formula for the daytime nursings. I also dropped the dreamfeed. I didn't seem to have enough milk for her and it was becoming so stressful that I was not able to be the mom I wanted to be. The transition has gone reasonably well. She's taken to the formula pretty good and doesn't seem to miss the dreamfeed. Her nighttime sleep seems to be unaffected. She is still waking up a couple times a week but goes back to sleep relatively easily. Naps have not improved though. If I can get her waketime exactly right she will take a two hour morning nap and a decent afternoon nap. Otherwise it's 45 minute naps for each and a necessary third nap. It's hard to get the waketime exactly right – especially if we try to go anywhere. The reason I'm waiting so long between liquid feedings and solids I guess is because I read to do that in Baby Whisperer. It seemed that at her age, the suggestion was to treat the liquid feeding as a snack and then give solids separately. Honestly, it confused me. I really don't know what would be best for her food-wise. Any thoughts? csammonds,Most babies are down to 3 naps a day by 4 months old. As they approach dropping a nap, that nap will often shorten and shorten. See Dropping Naps for more on this. See the post "Dropping Naps: A Quick Reference" for help on this transition. mamunaco,The Baby Whisperer does suggest that, and it is something I disagree with. I think it is best to eat the whole meal all at once. That is a call for you to make, though.Work on waketimes one at a time. So start with the first waketime. Get that perfect, and then move on to the next one.Try to not go out until after the first nap if at all possible.